All from the Military Odyssey Display in Kent Yesterday. This isn't the civil war. Where are the roundheads and cavaliers? They were the previous display. Not procesed those shots yet. Great shots! They have a wonderful feel to them. 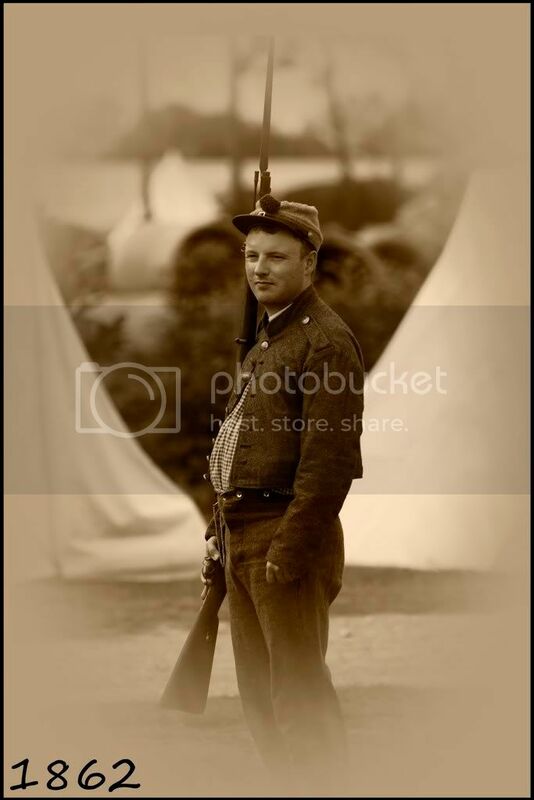 We have a huge reenactment coming up this month in Ohio and I hope to go and get some photos that are as nice as these! Care to share your post-processing? Stuart the PP on these seems totally sympathic to the era (I'm guessing of course ) and is quite 'plucky' I mean to desaturate, fade and 'washout' your pictures to this extent cannot be an easy choice but the correct one here. So striking Well done indeed. Them's not Union. Them's Yankees. And ain't nothin' civil 'bout the War of Northern Aggression. Err, please note that this is photography forum i.e. devoted to discussing photographs, not politics or consequences of politics. Fantastic set and great treatment but I agree with MiPr about the "framing" it kinds of distract a bit from the otherwise brilliant work you've done. Thanks for the comments. I actually agree with the ones about the joining to the frames being a bit artificial. MiPr - I love that version you have done. I am using Photoshop Elements 5 and have been experimenting to get the right look. Any advice you can give me about blending the frame to the photo to give a better result would be very much appreciated. I used a filter (from Harry's filters - a free download) to add grain and brightness, converted to sepia then added the frame. All in Elements 5.